Having A Ball In Lunch Bunch! Today was our first day back from winter break, and I had a roomful of 5th grade boys who ate lunch with me. Since we were off for 2 full weeks, I wanted something fun, easy, and quick to do with my fellas. We started off our meeting by going around the table and sharing one thing that happened over break. When they were finished, I pulled out my Target Dollar Spot beach ball and had them toss it around. Whoever caught the ball had to answer the question in front of them. This ball has 6 stripes, so I had 6 questions related to Lunch Bunch on it. You could easily add more if you wanted to as well. 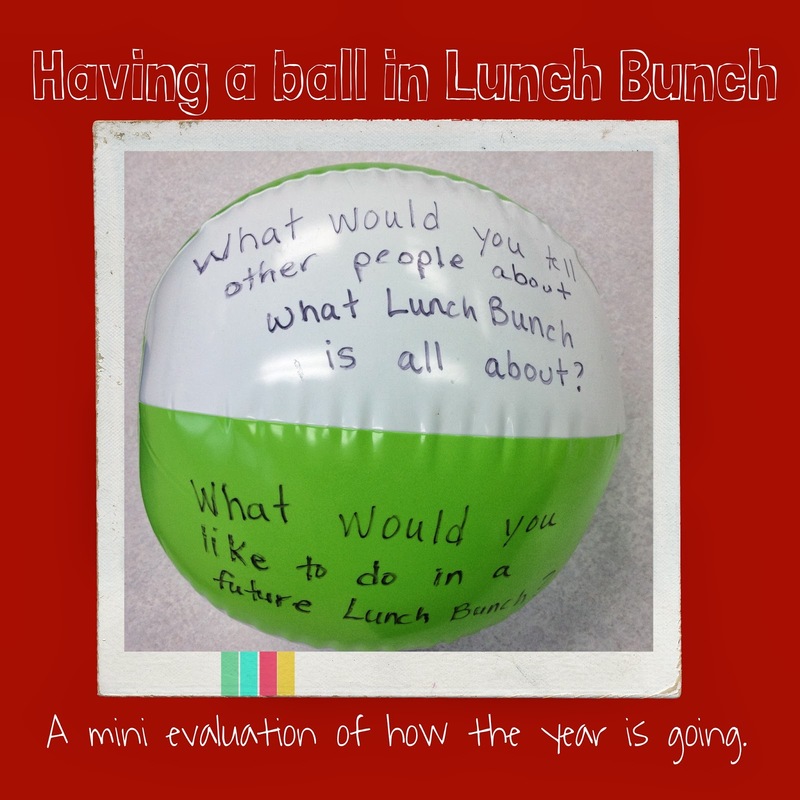 What would you tell other people about what Lunch Bunch is all about? 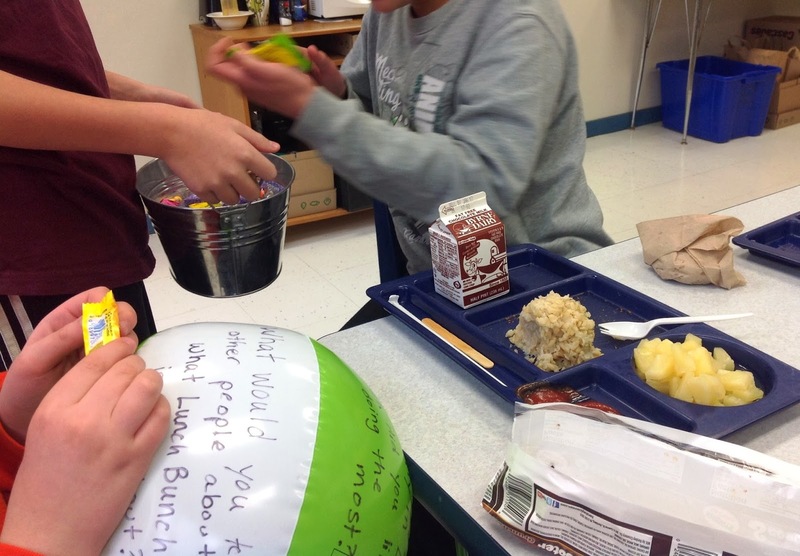 What would you like to do in a future Lunch Bunch? What have you learned in Lunch Bunch? What activity in Lunch Bunch did you like doing the most? Tell me 1 good quality about the person on your right. What is your favorite food to eat at Lunch Bunch? It's interesting to hear what the kids say and what they have for suggestions. They definitely like playing games. I will eat the girls on Thursday. I wonder what they will say? I guess I'll find out soon! 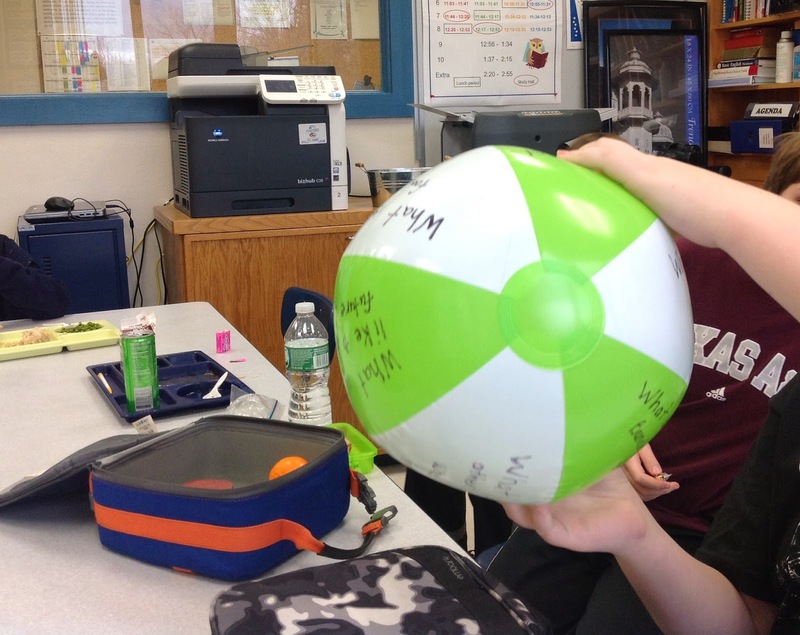 One of the great things about the beach ball, is that I can see what I wrote, and for my struggling readers, I can jump in and "read" the question for them. Other great reasons for beach balls is that they deflate, and take up a small amount of space, and you can write your own questions on any topic. You could make one for icebreakers, about bullying, study skills, etc. Whatever you can dream up. Not to mention, beach balls are so inexpensive next to the thumb balls that they sell.